To claim this profile, please confirm you are Kelly Nutter. To follow this profile, please let us know your relationship to Kelly Nutter. Kelly's softball stats have been updated for the win @ Mission Hills. RESULTWin Varsity softball @ Mission Hills. The La Costa Canyon varsity softball team won Thursday's away conference game against Mission Hills (San Marcos, CA) by a score of 7-4. Kelly's softball stats have been updated for the win vs. Canyon Crest Academy. RESULTWin Varsity softball vs. Canyon Crest Academy. 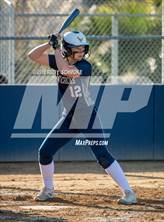 The La Costa Canyon varsity softball team won Tuesday's home conference game against Canyon Crest Academy (San Diego, CA) by a score of 7-4. Kelly's softball stats have been updated for the loss vs. Carlsbad. 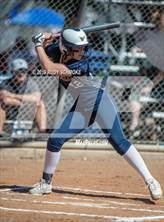 The La Costa Canyon varsity softball team lost Monday's home conference game against Carlsbad (CA) by a score of 8-1. Kelly's softball stats have been updated for the win vs. Ramona. RESULTWin Varsity softball vs. Ramona. 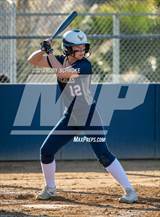 The La Costa Canyon varsity softball team won Friday's home tournament game against Ramona (CA) by a score of 17-6. Kelly's softball stats have been updated for the win vs. Clairemont. RESULTWin Varsity softball vs. Clairemont. The La Costa Canyon varsity softball team won Wednesday's home non-conference game against Clairemont (San Diego, CA) by a score of 6-3. Kelly's softball stats have been updated for the win @ Westview. The La Costa Canyon varsity softball team won Tuesday's away tournament game against Westview (San Diego, CA) in extra innings by a score of 5-3. Kelly had 20 photos tagged from the game against Poway. Kelly's softball stats have been updated for the loss vs. Poway. RESULTLoss Varsity softball vs. Poway. The La Costa Canyon varsity softball team lost Saturday's neutral tournament game against Poway (CA) by a score of 6-0. Kelly's softball stats have been updated for the loss vs. Escondido. RESULTLoss Varsity softball vs. Escondido. The La Costa Canyon varsity softball team lost Saturday's neutral tournament game against Escondido (CA) by a score of 12-7. Kelly's softball stats have been updated for the loss vs. Rancho Bernardo. RESULTLoss Varsity softball vs. Rancho Bernardo. 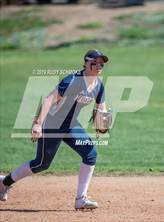 The La Costa Canyon varsity softball team lost Thursday's home tournament game against Rancho Bernardo (San Diego, CA) by a score of 6-2.